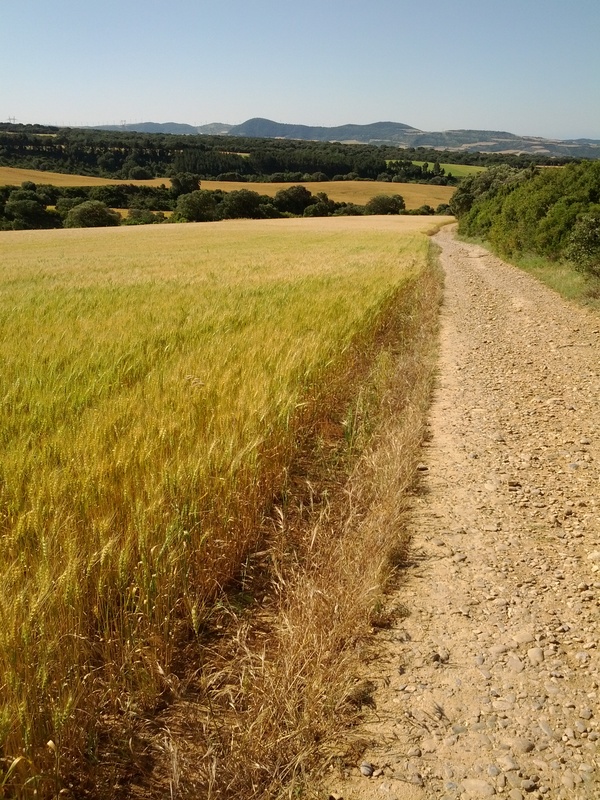 ← Day 108: Walk to Cizur Menor. 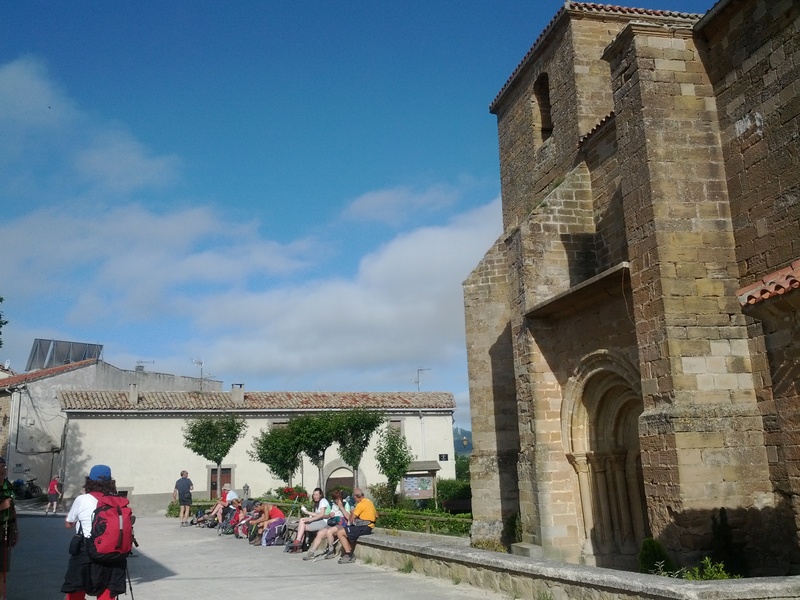 This is the post for day four of my pilgrimage along the Camino Frances route across the north of Spain towards Santiago de Compostela. Enjoy! Route: Cizur Menor, Zariquiegui, Alto del Perdon, Uterga, Muruzabal, Obanos, Puente la Reina. 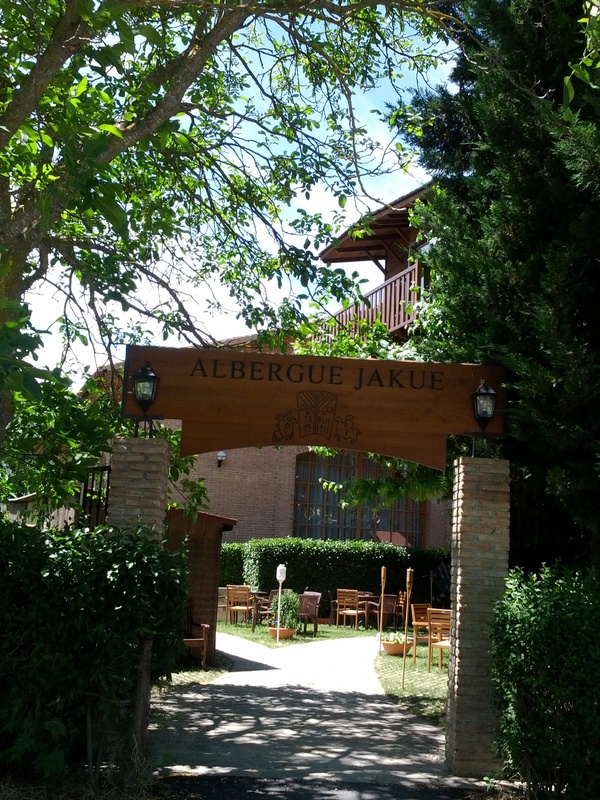 Accommodation: Albergue Jakue. This place is amazing! Loved everything about it, especially the way it magically appears when you first enter the town. 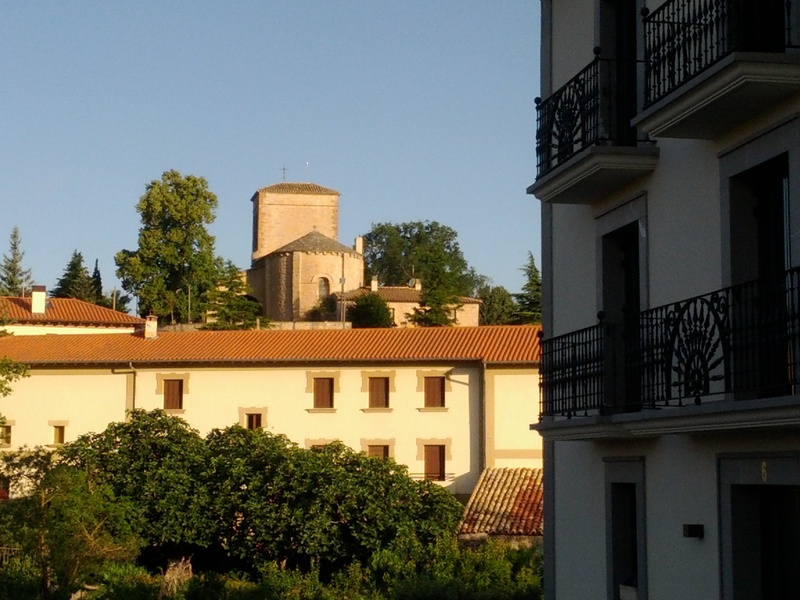 It is in the basement of a hotel, with a beautiful garden where you can enjoy a frosty beverage when you arrive. 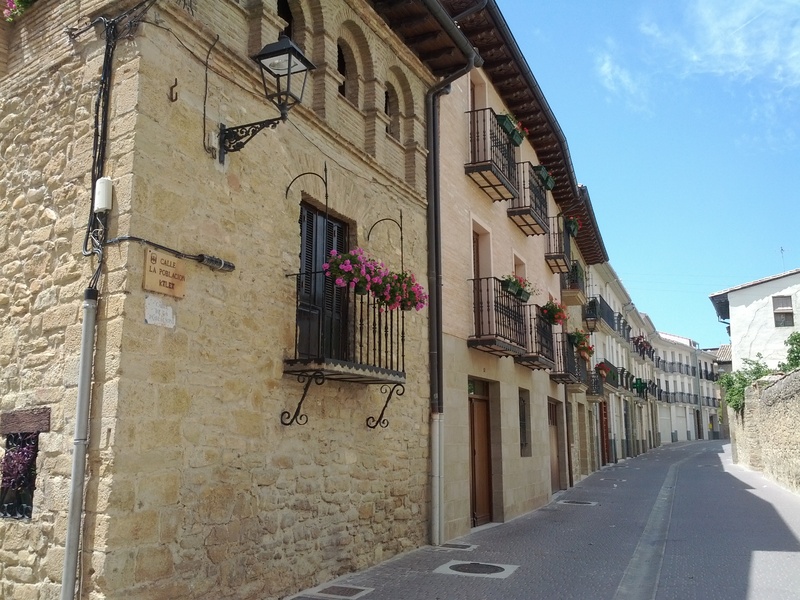 You can stay in the regular albergue part, or pay a few Euros more for a room with just 6 beds and a private bathroom, which we did (just 9 Euros each). It also had a couple of real washer and dryer machines, which we happily bought tokens for. Food: The food was the best part! There was a buffet dinner with unlimited salad, sides and dessert. Yum! Perfect for pilgrims. We even had friends from other hostels come back and join us for dinner. We also spent some quality time in the sunny bar playing cards, which is also where we had breakfast with unlimited freshly squeezed orange juice. 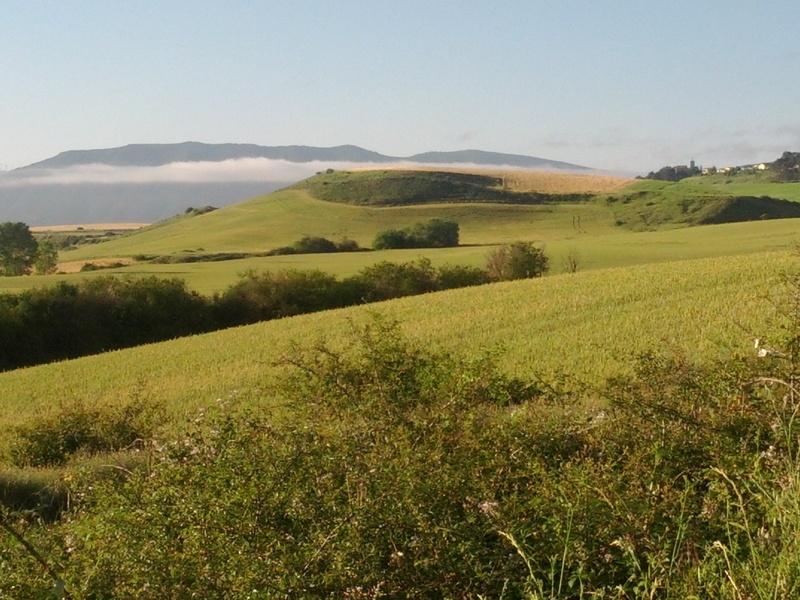 I was very sad to leave this virtual oasis of the Camino. 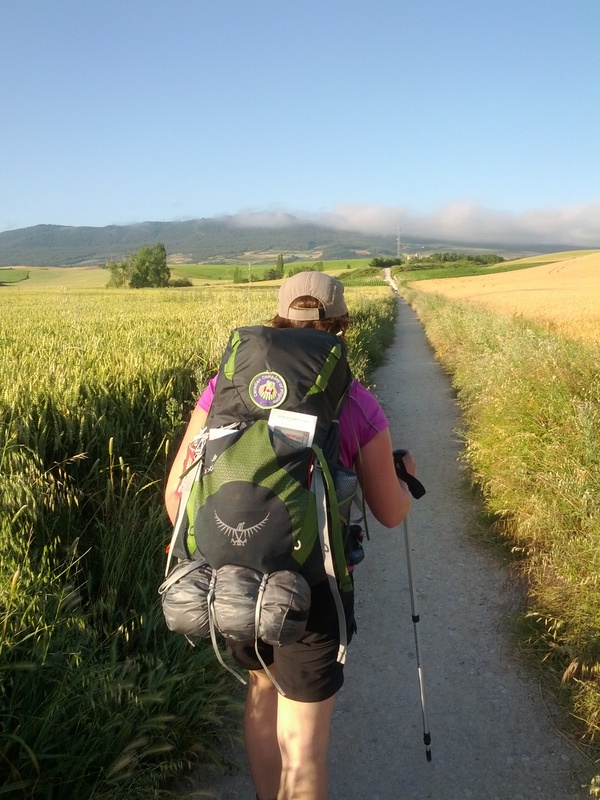 On Day 4 of the hike, after fuelling up with an awesome breakfast in the stocked kitchen at the hostel which we paid for ‘by donation’, in Cizur Menor outside of Pamplona, we walked a mere 19 km to Puente La Reina. 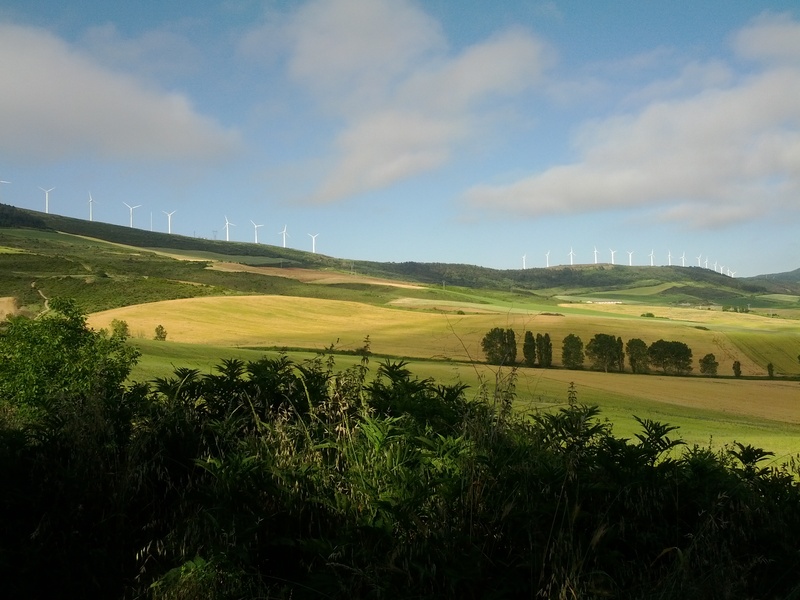 Along the way, we passed through a rather windy mountain range that was dotted with wind turbines. Talk about breezy! Glorious vistas both on the way up there and down the other side. It was awesome to be able to get so close to these impressively large machines. I had no idea that Spain had so many of them. 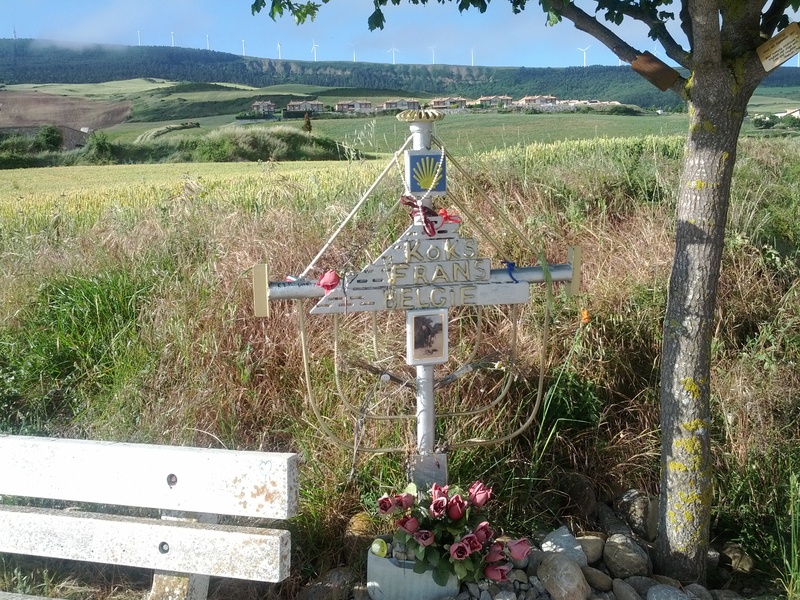 This entry was posted in Fitness and tagged cizur menor, El Camino de Santiago, fitness, June, Puente La Reina, Spain. Bookmark the permalink.